Although it is an important piece of your property, your roof is often overlooked – or more appropriately, under-looked. It is not common for property owners to spend a lot of time craning their necks to see the higher levels of their space. Just because you haven’t noticed it, doesn’t mean that others haven’t! The roofs of most properties are visible from street level and a cluttered roof does not exactly say curb appeal! 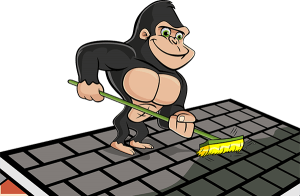 When you want your property looking great again, call a Gorilla for your Olds roof cleaning and moss removal. Having clutter along the surface of your roof might not look great but it does more than that! If roof clutter is allowed to sit on your roof for long periods, it can affect the structural integrity of your roof as a whole. This clutter is ordinarily made up of organic debris like fallen or shaken leaves, sticks, seedpods, pinecones, needles, branches and everything in between. All of these materials hold on to moisture and this consistent dampness paves the way for unwanted plant growth. Every once in a while, you might catch a glimpse of a small tree growing skyward from a rooftop but moss is harder to catch and even more dangerous. By making your Olds roof cleaning and moss removal a part of your regular maintenance routine – you never have to worry about being overrun with moss! 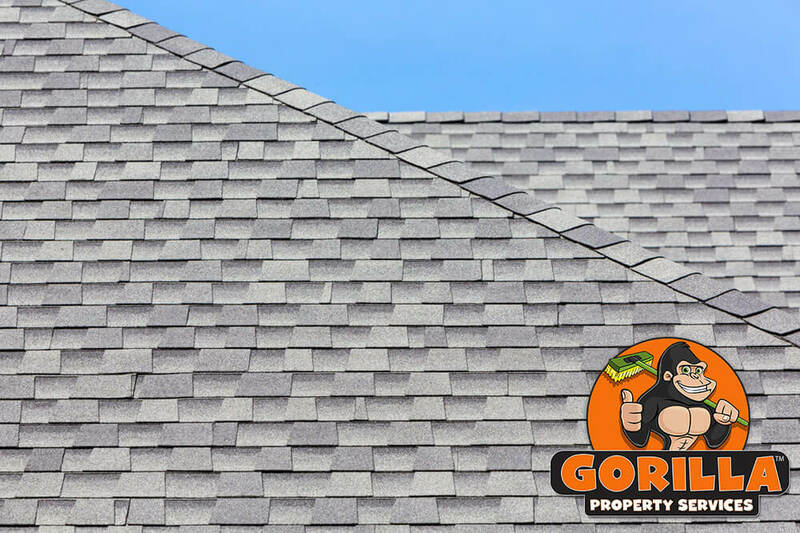 In order to manage your roof properly, our Gorillas suggest a twice-annual Olds roof cleaning and moss removal. Removing clutter might make the biggest visual impact on your property, but it is only the first step to a happy and healthy property. The surface layer of debris is always removed responsibly. This means that instead of pushing debris from one area to another, our Gorillas actually take it away. If you are curious as to just how much clutter is up on your roof, you won’t have to wonder for long! Each one of our Gorillas is outfitted with a smartphone, so our clients are kept in the loop with ‘before and after’ photos. These photos will also show any moss growth that might be spreading along your roof. If moss is present, our Gorillas will set to work carefully removing these aggressive plants.